Part of the fun of going on vacation is getting some reading in. For this trip I took along a couple of books, but the book that I was looking forward to reading was ‘Robin’ by Dave Itzkoff. As a kid one of the people that I looked to for inspiration was Robin Williams. If you asked the seventh grade version of myself I wanted to be just like Robin. I wanted to do stand up, and he was the best that I ever saw. His untimely death hit me hard. I still remember where I was when I was sent the news. This book really showed a side of Robin that I never knew. For all of his success he was still insecure about his place. As a photographer I can relate to some of that. The book really opened up my eyes and gave me some insight into a childhood idol. I created the preset that you see above while on vacation and named it ‘A Spark of Madness.’ A little tribute to the man whose life meant so much to me. If you like Robin Williams than pick up this book. It shows him in a whole new light. 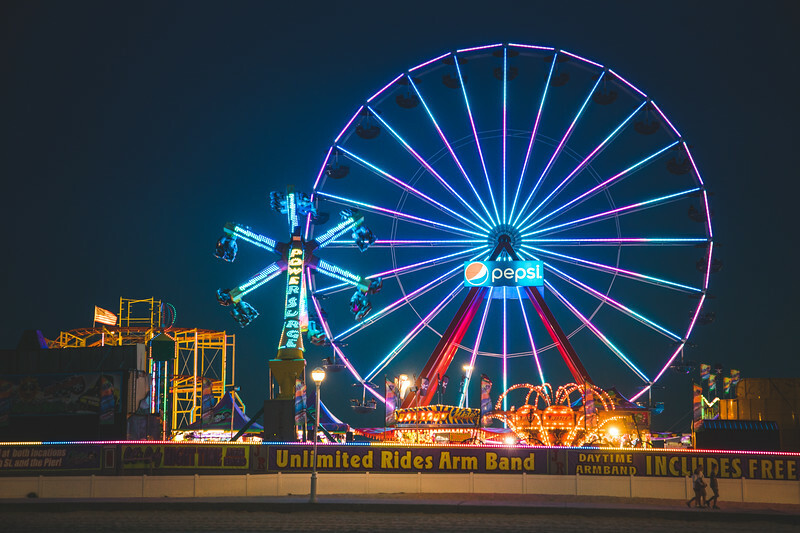 When the sun goes down in Ocean City the lights come on. It is not quite Las Vegas, but it is fun to look at. On this trip I had a couple of ideas to try to capture the lights of the boardwalk. This was one that I made after making the seven shot pano from a couple of days ago. Everything seemed to work out to make an interesting picture. I have plugged last weeks edition of the week in photos a couple of times already, but why not one more time? It was a fun and relaxing week, but also a good one for my photography. You can see last weeks photos here.